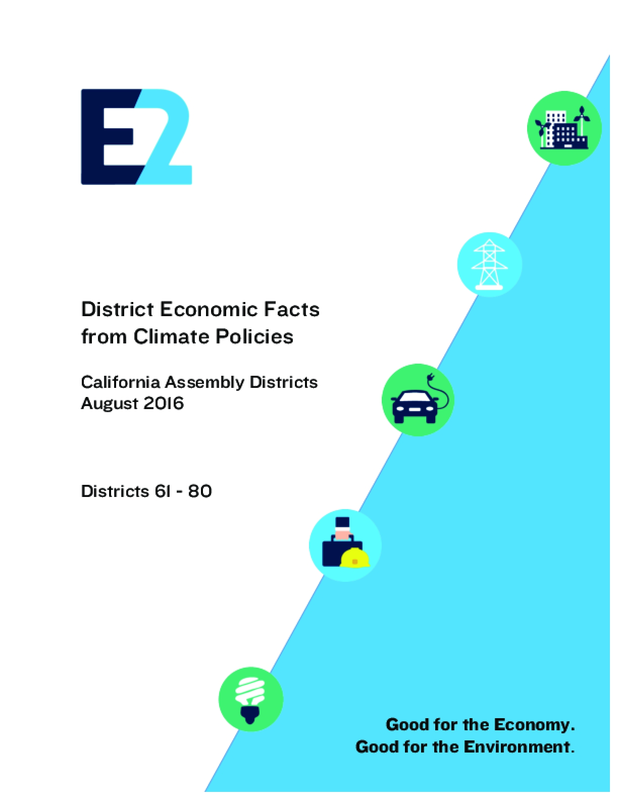 As the California Assembly considers SB 32, which would extend the emissions reductions targets under the state's Global Warming Solutions Act, a new analysis from E2 shows how and where California's climate leadership is creating jobs and expanding the economies of each of the 80 legislative districts across the state. Over the past decade, there has been nearly $48 billion in documented investments in renewable energy, energy efficiency, transportation and other climate projects resulting from California climate policies, programs and actions. Copyright 2016 by Environmental Entrepreneurs (E2). All rights reserved.